- Closed dollar volume of $1.775 Billion. 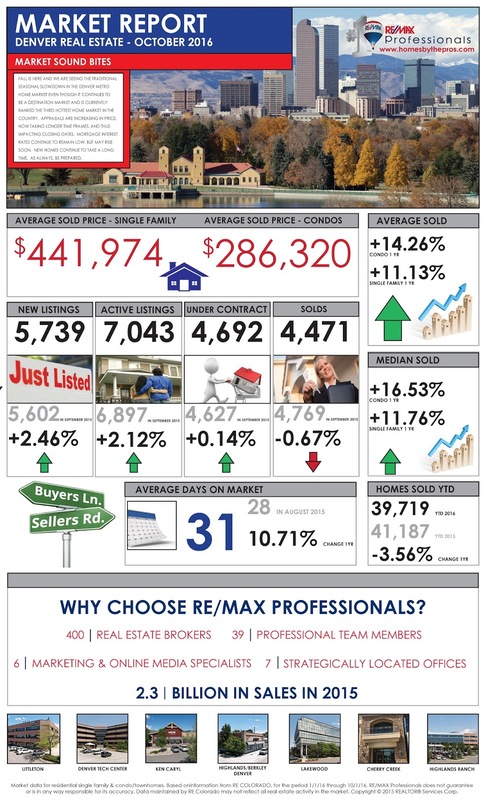 Fall is here and we are seeing the traditional seasonal slowdown in the Denver Metro home market even though it continues to be a destination market and is currently ranked the third hottest home market in the country. 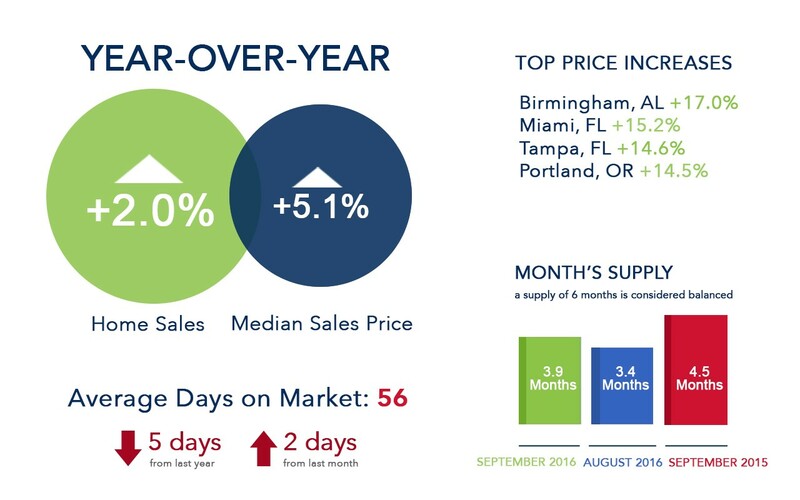 Appraisals are increasing in price, now taking longer time frames, and thus impacting closing dates. Mortgage interest rates continue to remain low, but may rise soon. New homes continue to take a long time. As always, be prepared. There is every indication that the Denver home market will see the hottest fall in a decade. Again it is time as a Seller to continue to focus on the following six (6) items: (1) stage the yard, (2) clean, clean, clean, (3) remodel or upgrade, (4) de-clutter and stage your home, (5) use professional photographs and videos, and (6) price effectively. Always remember that as a Seller you need to leave a great lasting impression on all Buyers when they are shown your home. As a Seller in the current home market, you need to be aware of: (1) appraisals are now taking more time to complete, (2) Buyers are becoming more focused on smart homes, and (3) healthy homes are now a new priority. 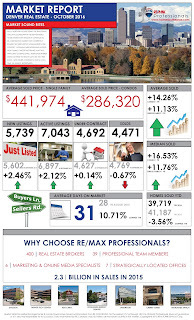 Interest rate increases will impact the home market. There is every indication that Buyers will see the hottest fall in a decade. 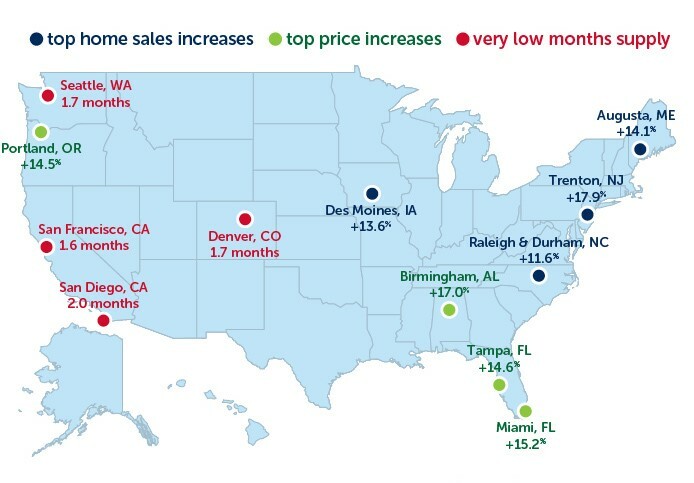 What this means is that the Denver home market will continue to show seasonal signs of leveling off and Buyers will see a slowdown of activity; but, overall the home market will continue to be a destination and a top hot market. Be prepared to act quickly, create your home buying plan, and stick to it. 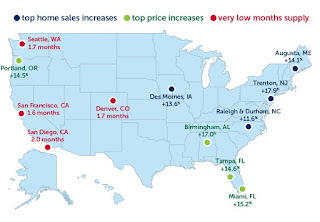 Home pricing will remain constant with little or no price appreciation. Even though mortgage interest rates remain low today, there is every indication that mortgage interest rates will increase in the near future. What this means is that with an increase, Buyers will be able to borrow less than currently.